Stephanie Johnson is the protagonist and narrator of Once Bad Intentions. Victim of parental violence, villain to the streets. Will Stephanie find redemption and the courage to leave her past behind? Join her on her journey. 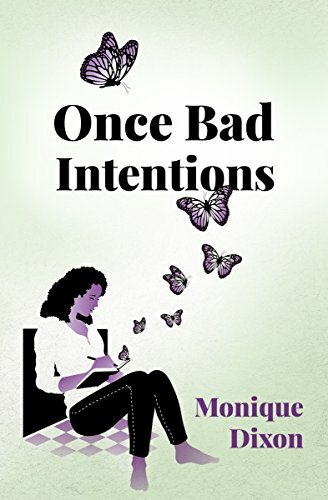 Once Bad Intentions is the debut novel of Monique Dixon. A poignant, disturbing and exhilarating coming of age. The inspirational story of a young girl’s journey to defeat her past, the violent characteristics she had become prone to, and succeed in the world of fashion photography. Told through the eyes of Stephanie Johnson, Once Bad Intentions provides an integral insight into the causal factors that shape the characters of dysfunctional youth. A gritty, realistic, and poetic portrayal of a life captured by music, fashion and a lost identity growing up in South London throughout the nineties. Stephanie Johnson takes readers on an emotional journey from days fuelled by bad intentions to the mercy of forgiveness at the footsteps of redemption. The aim of this website is to extend the experience readers will undergo with the novel. Through the images, music, film, fashion and prose that formed part of Stephanie’s world, this site will create a feeling for the cultural and social influences of that period.